As quintessential a part of Italian life as a Sunday afternoon family meal in a local trattoria, coffee drinking has become a symbol of the northern European take on la dolce vita. Maybe it is the endless bombardment from the marketing departments of the modern coffee-shop chains, their promotional material overflowing with images of clientele sporting sharply cut suits or appearing effortlessly elegant in a summer frock. This image does have some basis in reality – just take a stroll through the business district of Milan or the shopping streets of Rome – but being dressed to thrill isn’t a prequisite to walking into a bar for a quick espresso, or lounging in the mid-morning sun in the company of a cappuccio. Coffee has made brand names such as Lavazza and Segafredo Zanetti internationally renowned, but it is worth pointing out that the raw material that underpins this love affair with caffeine does not hail from the shores of the Italian peninsula. In order to thrive, the two main varieties of coffee plant – arabica and robusta - need warm, humid weather in order to thrive. 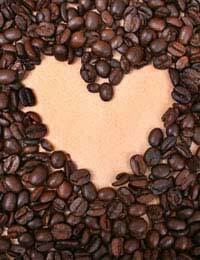 As a result, major coffee producers source their beans from the equatorial zones of Africa, Asia and America. In terms of individual coffee-producing countries, Guatemala and Colombia are high-profile but both lag a long way behind the numero uno, Brazil. The arabica variety is the predominant product of these South American nations, with the robusta being sourced from Asian producers such as India and Vietnam. The raw material is harvested and extracted before the skilful arts of roasting and blending result in the beans that are supplied to tens of thousands of coffee outlets throughout Italy. Once the beans are ground, all that is left is for the barista (bar attendant) to skilfully control his machine in order to supply a coffee that challenges the palate as much as the nostrils. Of course, only the most committed coffee drinker would think of turning their house into an authentic bar by investing several thousands euros in one of the large commercial machines such as a Wega or a Gaggia. Even if the budget allows and there is sufficient space available in the family home to accommodate one of these monsters, they are the kitchen equivalent of a F1 racing car ie not to be left in the hands of an enthusiastic amateur. So if you are not planning to take a professional barista course in the near future, stick to one of the many high-quality domestic machines – they are relatively foolproof, which means you will get the most out of your coffee beans. Thanks to web-based Italian outlets as well as the growth in the number of high-street delicatessens, sourcing top-quality beans and blends such as Segafredo, Illy and Lavazza is no longer a problem outside of the Mediterranean. Always remember to treat your coffee with respect, preferably by ordering a modest amount at a time and storing it in an airtight container, in a cool, dry part of the kitchen, so that it stays fresh. Whether you buy beans and a grinder, or opt for one of the packs of the ground variety, enjoying good Italian coffee at home means you can indulge while wearing your pyjamas or dressing gown, saving all the expense of investing in those designer threads and fixing your hair.